Dr. William "Flip" Clay is a dynamic, innovative, energetic, internationally acclaimed professional school counselor and speaker. Dr. Clay has been featured twice on Presidents Day in the education section of the Washington Post. Dr. Clay has been featured on WTTG/WDCA Fox 5 News in Washington, DC and on the Steve Harvey Morning Show (96.3 WHUR) with Mr. Tony Richards. After meeting Dr. Clay, the first Hispanic Supreme Court Justice of the United States, Justice Sonia Sotomayor, recognized Dr. Clay as an extraordinary role model and leader. 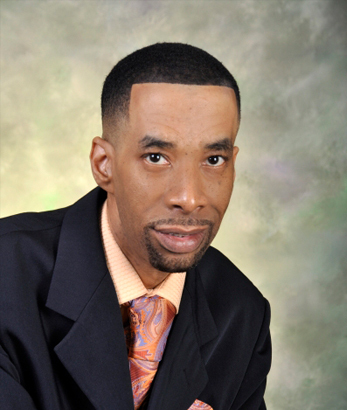 Dr. Clay is the author of Post-Traumatic School Disorder subtitled Empowerment Strategies for African American Males. Dr. Clay is the founder of (Men of Ardmore) M.O.A, a data-driven, successful, elementary empowerment program. In 2011, Dr. Clay was recognized as the educator of the year by the Metropolitan Baltimore Association of Black School Educators. In 2012, The National Association of Black School Educators awarded Dr. Clay with the National Marcus Forster Distinguished Educator of the Year Award. Dr. Clay was the first professional school counselor to receive this award in their 20 year history. In 2013, Dr. Clay contributed to the College Board Advocacy & Policy Center journal series “Transforming the Educational Experience of Young Men of Color Journal Series.” Dr. Clay is also a member of several professional organizations that include the National Alliance of Black School Educators, the Association of Supervision and Curriculum Development, American School Counselor Association, and Phi Beta Sigma Fraternity Inc. A graduate of Charleston Job Corps, he holds an undergraduate degree from West Virginia State University and a graduate degree from Virginia State University. Dr. Clay is also a graduate of the American School of Professional Psychology at Argosy University in Washington D.C.